The UK Government has come under fire after it emerged Scotland will receive no extra money as a result of Theresa May’s “grubby and shameless deal” with the Democratic Unionist Party. SNP leader Nicola Sturgeon claimed the country would miss out on an estimated £2.9billion for public services. And she accused the Tories of showing they “will stop at nothing to hold onto power”. Welsh first minister Carwyn Jones also went on the attack, branding the arrangement a “straight bung to keep a weak prime minister and faltering government in office”. A so-called confidence and supply arrangement was finally agreed yesterday – 18 days after the Conservatives failed to win a majority at the general election. 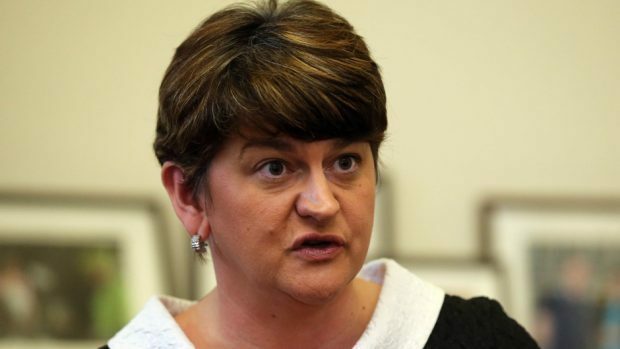 It includes £1billion of additional funding for Northern Ireland over the next two years in return for the DUP’s backing on the Queen’s Speech, Budget and legislation relating to Brexit and national security. But Downing Street confirmed the cash would not be subject to the Barnett Formula, used to calculate public expenditure allocated to the devolved nations. The row came after comments by Scottish Secretary David Mundell that he would not support “anything that could be construed as back door funding” to Northern Ireland”. Scottish first minister Ms Sturgeon called the deal the “worst kind of pork barrel politics” and said it undermined the “very principles that underpin devolution”. She also said she would be seeking “urgent discussions” with Mr Jones and accused Mr Mundell of “surrender”. But Scottish Conservative leader Ruth Davidson described the SNP’s criticism as “absurd”, insisting the UK Government has always been able to spend outside Barnett, for example on the recent city deals. She added: “The Barnett formula ensures that if funding for public services goes up in England, it does across the devolved nations, if they are responsible for delivering these services. That system remains in place. “weakening the bonds that unite the UK”, while Scottish Liberal Democrat leader Willie Rennie warned it could undermine the peace process. Mrs May said it would “give us the certainty we require as we embark on our departure from the EU” and emphasised her government’s ongoing commitment to the Northern Irish peace process. The DUP’s support in votes which are not covered by the confidence and supply arrangement will be agreed “on a case-by-case basis”.